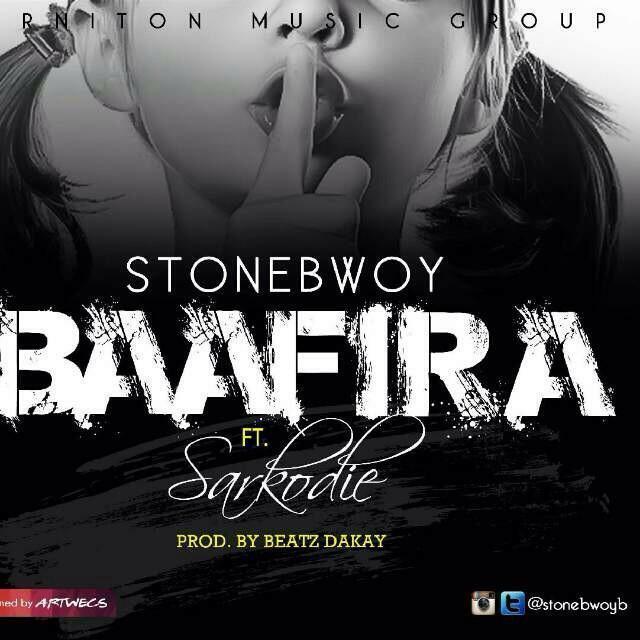 Produced by BeatzDakay, ‘Baafira’, is an Hausa word which simply means ‘no noise or don’t talk and Dancehall ace, Stonebwoy in collaboration with Ghana’s fastest rapper, Sarkodie will be releasing a song to the term in 8 days time. Like ‘Adonai’ by Sarkodie featuring Castro, ‘Baafira’ is an inspirational song yet a party worthy danceable tune recorded on a 105 beat per minute (bpm) will be released on Friday, October 17. “Because they only can scare you with their words but cannot in any way block or prevent you from excelling besides, there nothing is ever new under the scorching sun, so ‘Baafira’ is an inspirational song to keep our fans dancing and at the same time not giving up on what people may say than acting,” the ‘Pull Up’ singer said. Meanwhile, Stonebwoy has been nominated in the 2014 Bass Awards in categories including Dancehall Artiste(S) of the year and Dancehall Song of the year with ‘Give it to them’; Artiste of the year (Kwame Nkrumah Award); Best Collaboration of the year (Dancehall) with ‘Go harder’ (Edem featuring Stonebwoy) and ‘Wind Up’ (Method Ranking featuring); Best Performer Of The Year. Sarkodie, on the other hand, has been nominated in the Best Male Artiste in West Africa with ‘Adonai’ for 2014 AFRIMA and ‘Best African Artiste’ for 2014 Headies Awards.